Winter has finally arrived where I live. We have had a very mild winter with many days in the 60's. Well, today has been cold with highs only in the 30's. Now that cold weather is finally here, I thought it was finally time to share my winter themed reading bulletin board with you. 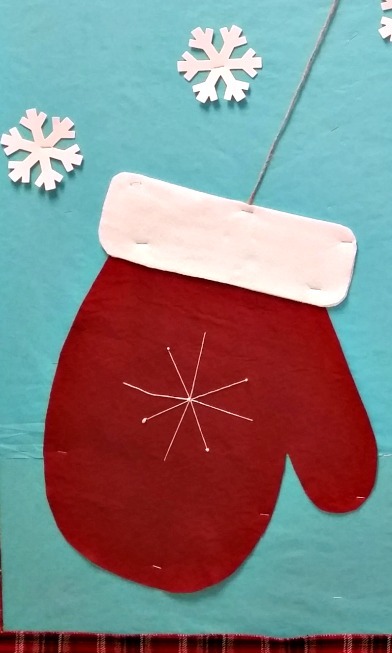 I cut out mittens from felt and added some white stitching to each mitten. 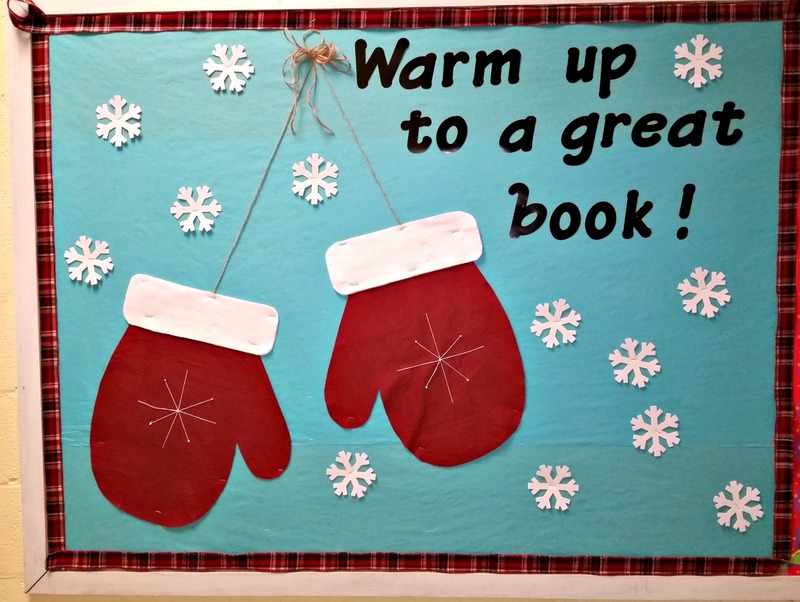 Although my blog name is "Teaching Fourth," I have not always taught fourth grade. I started my teaching career in sixth grade. The following year I had an opportunity to move down to fifth grade. I stayed in fifth grade eight or nine years (I believe...). I then moved down to fourth grade where I have been for more years than I can remember. I must admit that fourth grade is my favorite grade to teach. The children are at such a sweet age, and I enjoy them so much. 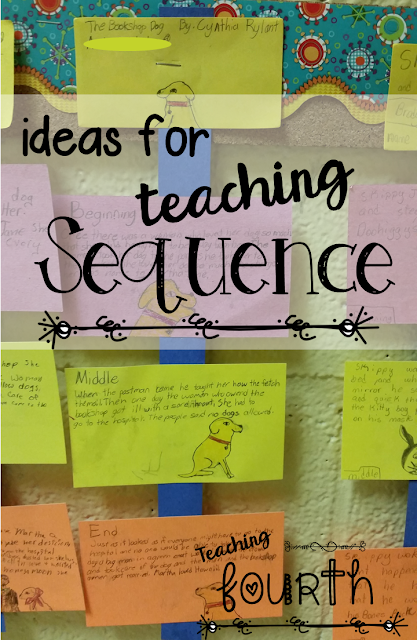 One thing that surprised me when I moved to fourth grade was the amount support that fourth graders need on sequence. Many fourth graders still struggle with remembering the sequence of events of a story or in nonfiction, but with support by the end of fourth grade, most students show tremendous improvement with this important skill. Here are a few activities that have helped my students and that you may find helpful as well. Another activity that my students love is on pbskids. They actually love anything we do on pbskids. This "Arthur Story Scramble" is not only a fun activity, but it is a good activity especially for those students still struggling with sequence. 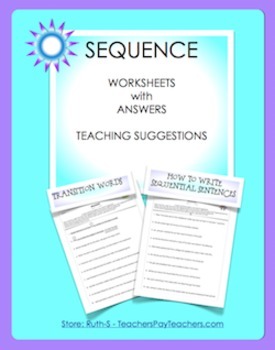 Finally, a great resource for sequence can be found on TpT in Ruth S.'s store. 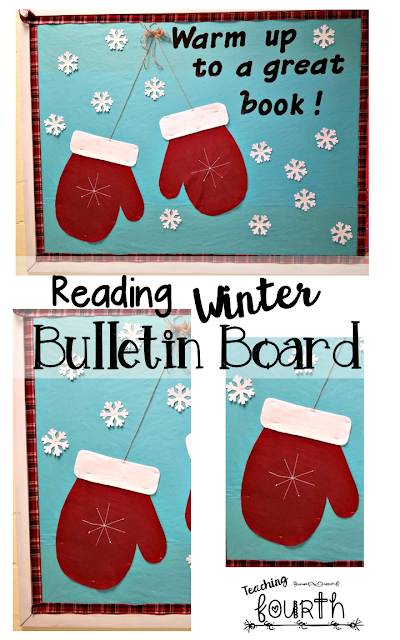 Ruth has created a wonderful set of worksheets and activities. These activities are not only a great reinforcement for sequence, but they are also free! You've got to love that! Be sure to check those out here, and if you download them, please leave Ruth some feedback love!